I must admit that cruising never seemed like an ideal vacation for me. I’m the type of guy who likes to wander and explore while traveling. I like to sample local cuisine, interact with locals, and find off-the-beaten path shops and entertainment options. Cruising seemed a bit too confining. 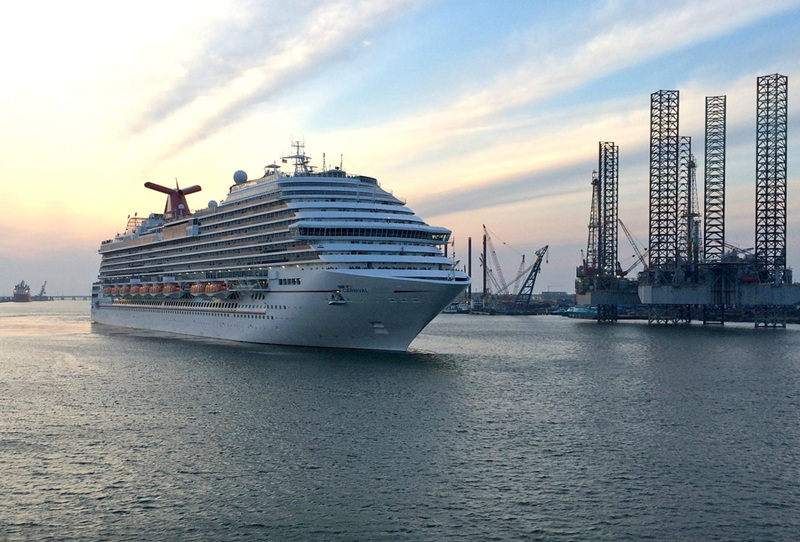 When Carnival Cruise Line invited me to an overnight event to mark the arrival of Carnival Freedom at its new year-round homeport of Galveston, I was a bit skeptical. However, I decided to attend for three reasons: (1) It would give me a taste of cruising without the commitment. (2) Carnival partnered with Operation Homefront to honor U.S. military personnel and their families (my family has a long legacy of military service). (3) I was curious about the ship’s $70 million renovation which included new restaurants, bars, and interior enhancements. Carnival Freedom kicked off year-round departures from Galveston with four to seven day cruises calling at ports throughout Mexico, the Caribbean, Bahamas and Florida. Carnival Freedom joins Carnival Triumph and Carnival Magic in Galveston. Together these three ships will carry more than 600,000 passengers annually from Texas — more than any other cruise line. When I boarded the Freedom, I was impressed by the ship’s aesthetics. 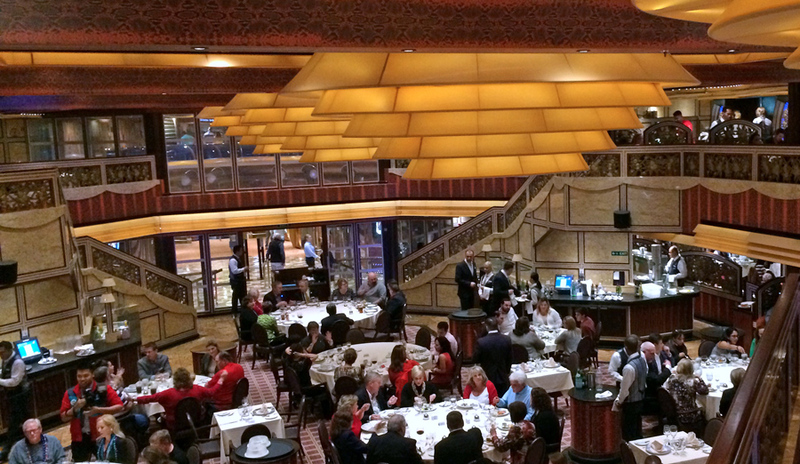 Carnival invested their money wisely because the interior of the ship looked elegant, fresh, and inviting. “Wow, this ship looks like a hotel,” said my 7-year old son. Believe me when I tell you this is high praise. In his mind, nothing is cooler than a hotel. Once onboard, my family and I headed straight to the buffet because we were famished. We were treated to a smorgasbord of delicious dishes. My favorites were the fried oysters and roast beef. My kids enjoyed the pizza from the pizzeria while my wife indulged in the Italian station. After lunch, we explored the ship and discovered a few activities that piqued our interests. We spent the next couple of hours playing ping-pong, volleyball, and miniature golf. It was fun to play a few games with my family. My sons especially liked the physical activity after being cooped up in the car for nearly two hours. They continued to play while I headed down to the upper deck for the day’s main event – a concert by country music superstar Martina McBride. 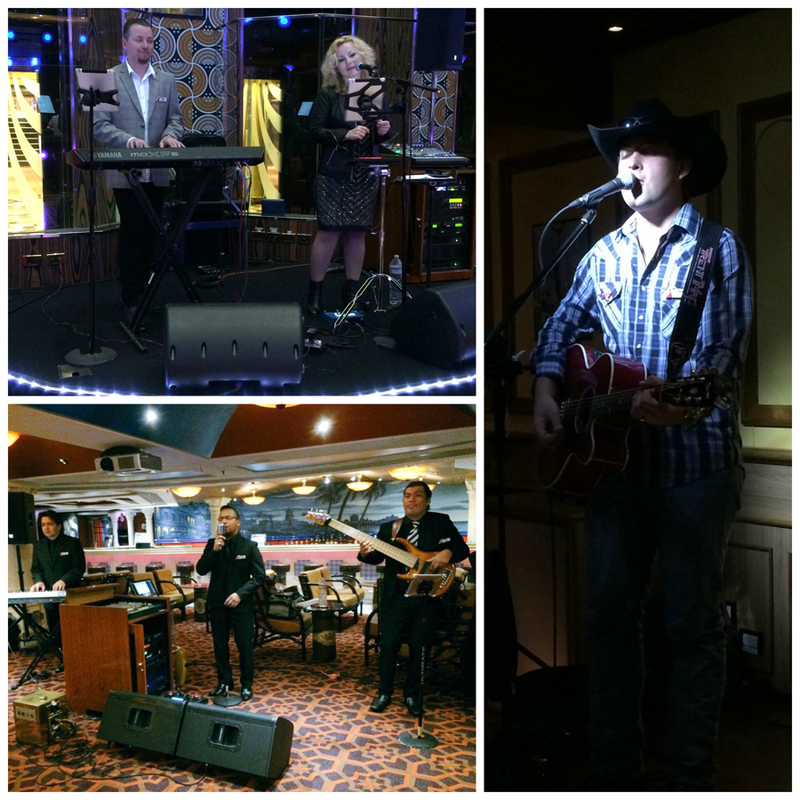 This was the first Carnival LIVE show staged outdoors and McBride’s second time participating in the Carnival LIVE concert series that offers guests the best live music at sea from popular acts spanning a variety of musical genres. McBride sang many of her hits to the delight of the audience. There was plenty of dancing and singing along. My favorite part of the show was when she sang a few songs from her latest album, Everlasting, a collection of vintage soul and rock favorites. 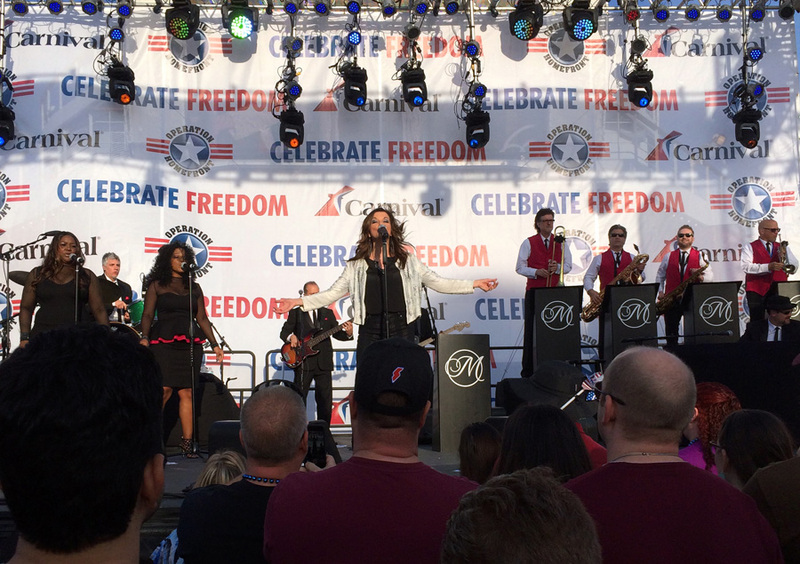 Prior to McBride’s concert, Carnival presented a check in the amount of $100,000 to Operation Homefront. When the concert ended, I joined my family for some hot chocolate in the dining hall. Since we had a couple of hours before dinner, we decided to explore the ship a little more. We spent the time playing video games in the arcade, checking out the teen area (my 11-year old son was disappointed that he wasn’t old enough to participate in the activities), visiting the library, and window shopping in the retail area. As we walked through the ship, I heard the sounds of karaoke. I was drawn to the music like a moth to a flame. But just as I was getting ready to select my song, my 13-year old daughter dragged me back into the corridor because she didn’t want me to embarrass her. So I had to give up my dream of singing “Let It Go,” in favor of my daughter’s dignity. When dinner time finally arrived, we headed to the Posh Dining Room (that is the actual name of it) and were quickly seated. Our server, Francisco, greeted us with a smile and handed us menus. The choices included pasta, alligator, prime rib, lobster, chicken, and many others. I finally settled on Surf and Turf (Lobster Tail and Prime Rib) while my wife and sons decided to only have the lobster. My daughter, who has a shellfish allergy, had the chicken. We informed Francisco of her allergy and he made a personal effort to ensure that her food would not be contaminated by shellfish. That was only the beginning of Francisco’s attention to detail. Throughout the meal, Francisco’s service was impeccable. At one point, he even cut my son’s meat and fed it to him. During a lull in the meal, Francisco shared stories about his home in the Philippines and I talked about life in Texas. 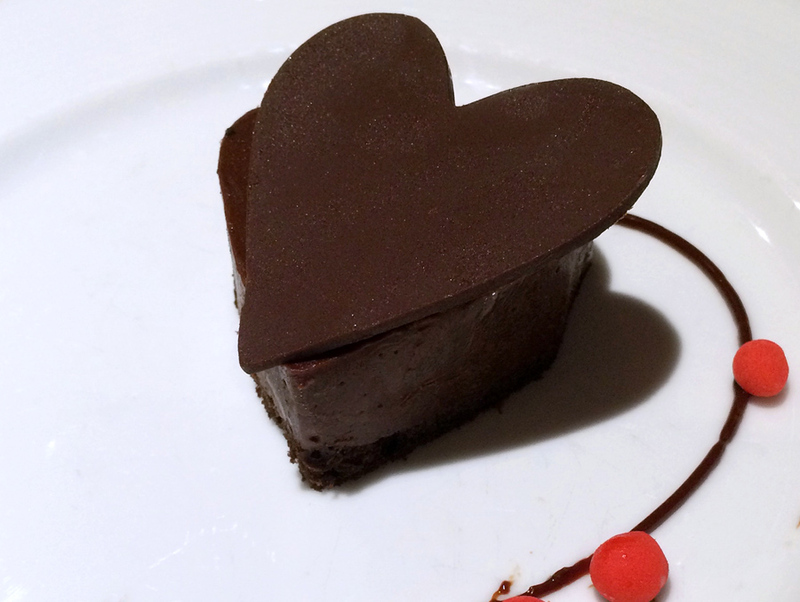 Because it was Valentine’s Day, we were treated to the most decadent chocolate dessert I’ve had in a long time. It was so good that I asked for a second helping. After we finished eating, I bid Francisco adieu and spent the last couple of hours on the ship listening to the bands that were playing throughout the ship. There was a wide variety of music – country, latin, jazz, pop. 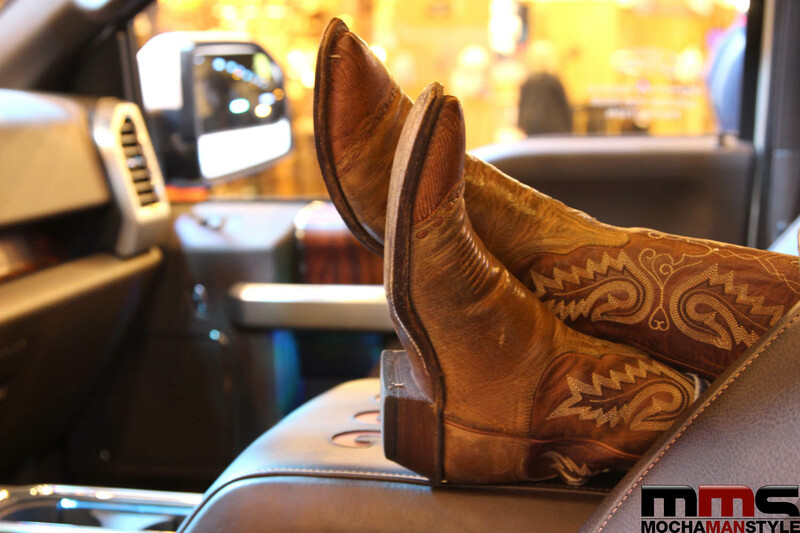 I wanted to dance the night away with my wife, but my children were tired and we had a long drive back to Houston. During the few hours I spent aboard the Carnival Freedom, I gained a new perspective on cruising as a vacation option. I’m looking forward to spending a few days onboard another Carnival Cruise.